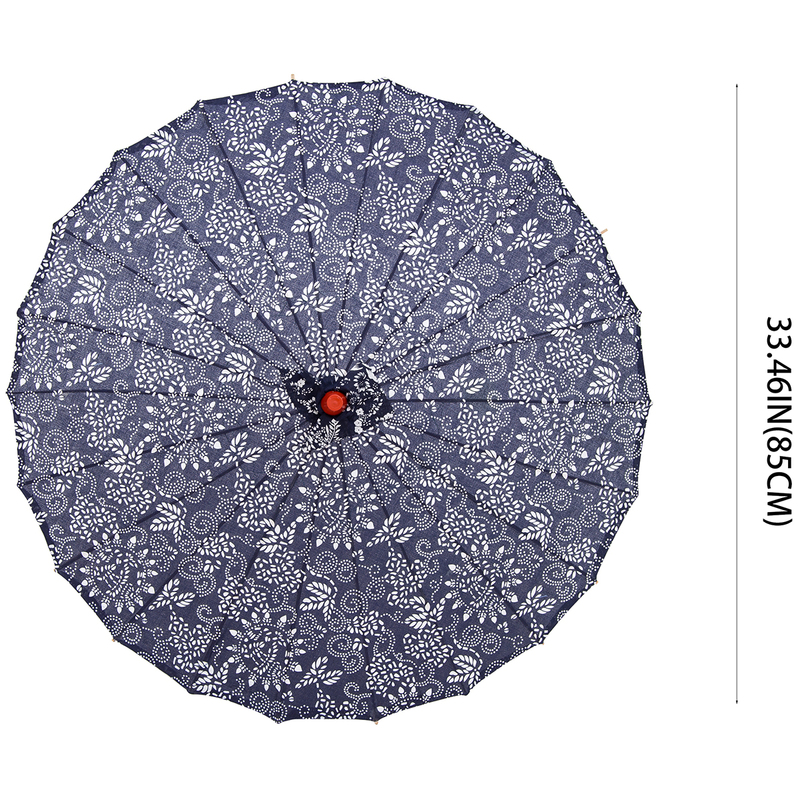 A traditional Chinese blue-and-white floral design parasol. It is 33 inches in diameter. 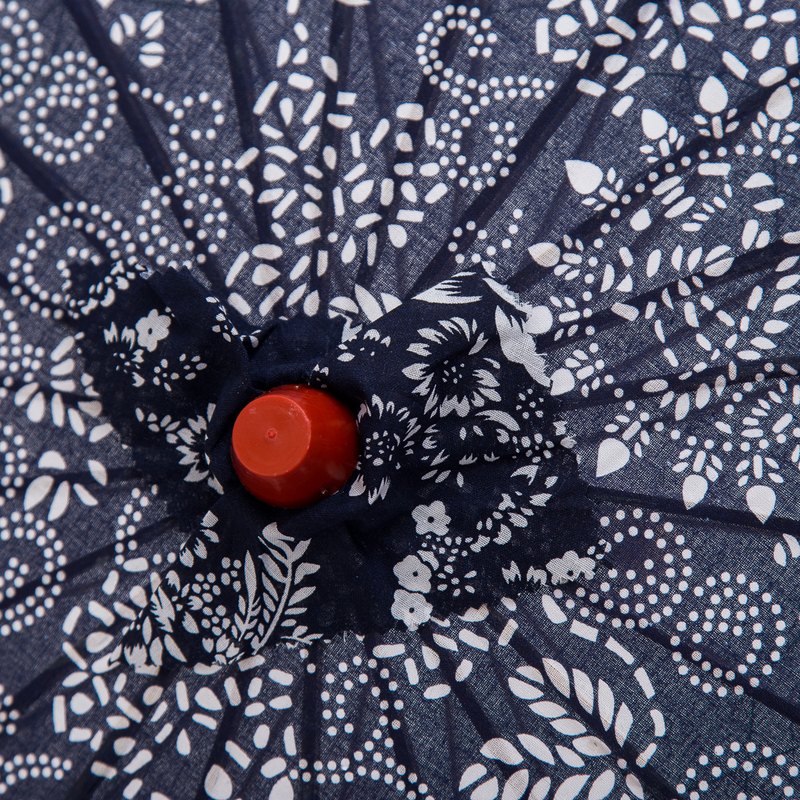 Many people are using them as party and wedding favors - they provide comfort and fun to guests during outdoor celebrations, and can be taken home as a memorable thank-you for the special day. 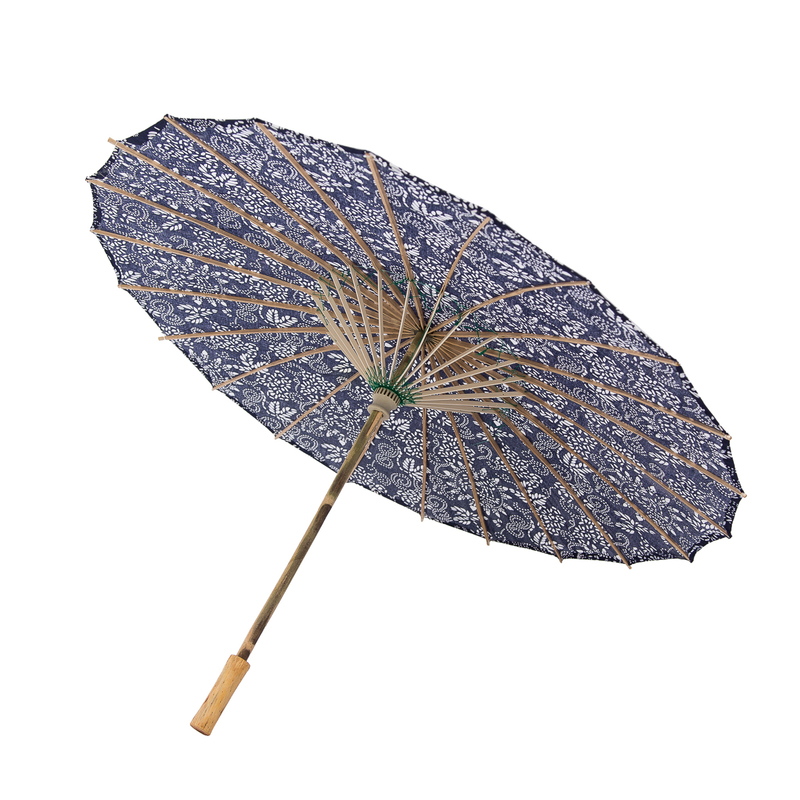 This Beautiful Oriental parasol is great for asian theme decoration, dancing and Wedding. 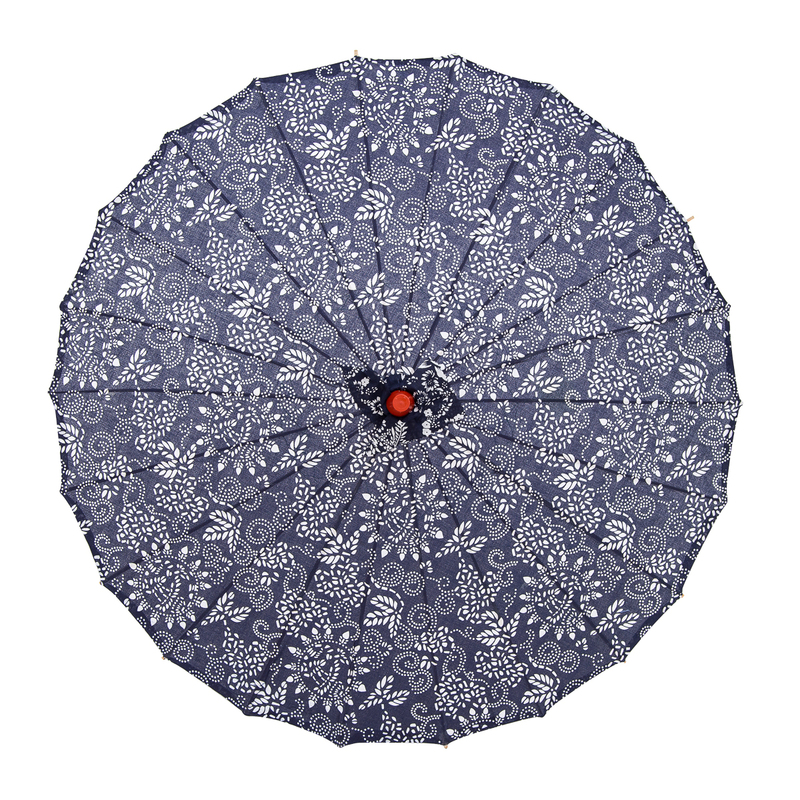 Bring a touch of orient to your next event or into your home with our beautiful Chinese parasol.